As you will probably know we recently saw Paul Hollywood's Get Your Bake On Live tour in York. Over the next few weeks I am challenging myself to bake all four. I will be adding my own twists on a couple but will probably follow the recipe for the others. But I will be letting you know how I got on with them all. He also demonstrated the technique of making a plait loaf which I am eager to try! This week I have made the Apple pie, with a twist! I have added dried mixed fruit, cinnamon and nutmeg. 16 - Once the pastry is a golden brown remove from the oven and leave for about 10 minutes to rest. This apple pie was delicious with the added extras. It goes perfectly with custard, cream or ice cream. The pastry is a rich buttery pastry. Next time I would probably increase the pastry quantity to 300g as I found that it was a little too thin. But overall this is a lovely pie which is easy to make! 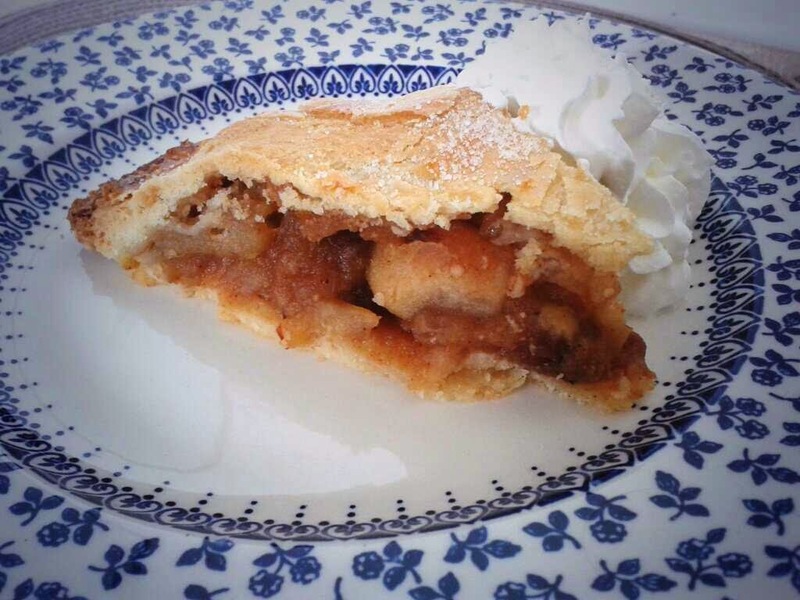 Homemade apple pie is one of my favorite desserts - especially with homemade crust! This looks amazing and such a crispy top... I'll take a slice, please!